WSJ's Off Duty Section is like a tactile version of a blog. Perhaps that is why it is my favorite section of the news paper week after week. 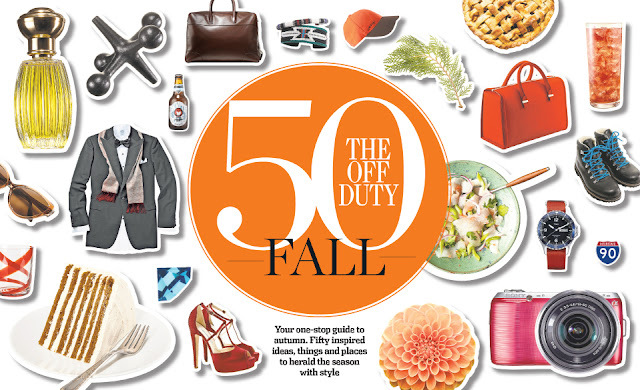 They really outdid themselves last week with their 50 for fall guide. So if you don't subscribe, I recommend clicking around here. I know it made me excited for all things autumnal. I love it too! Happy weekend! I have not seen this but am off to check it out!